Zapp-O-Toes is a brand that does handcrafted, vegan footwear for women. In case you're looking for dressy wedges for weddings or casual loafers for everyday use, this brand is a great place to start. Studded heels, sequined sliders or gold kolhapuris, Zapp-O-Toes is the place for designer footwear you'll need for all your special occasions. If you're not a fan of heels, check out their range of open-back juttis with brocade base, shimmery gold bellies or kolhapuris with mirror work, colourful pom-poms or shiny detailing. For those who go easy on the bling, they've got footwear in subtle tones of tans, white and black. 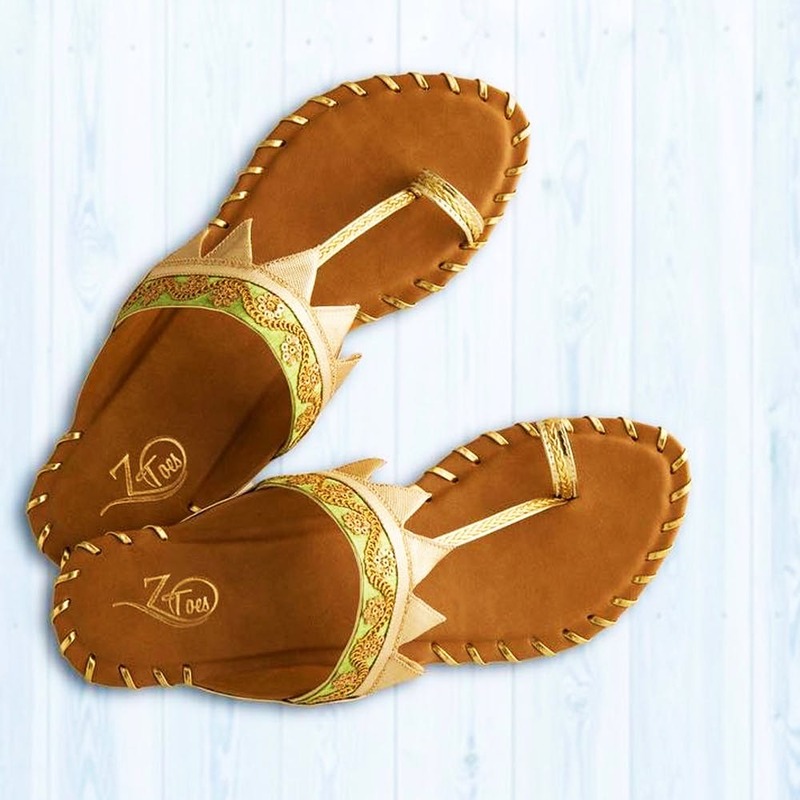 We have a soft corner for the tan mules that look classy and are so very comfy. Also check out their cream coloured wedges that'll look great with flowy dresses. In you want to make a shoe statement, get their red block heels stat. The colour is bold, the style a classic and since they're block heels, this footwear won't stress your feet like stilettos do. If you're looking for dressy designer footwear, you'll love this e-store. But folks who want everyday use, casual footwear might feel that the options are a bit limited.